These chicken kebabs get their vibrant color, bright flavor, and tender texture from a lemon-yogurt marinade infused with turmeric and garlic. If you have time, let the meat marinate up to 6 hours before grilling—trust us, the results will be worth it. 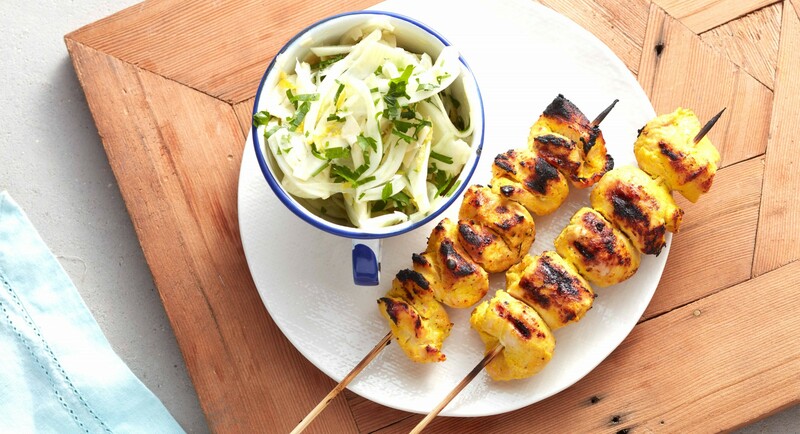 Serve alongside a fresh fennel slaw for a refreshing summer meal. Stir together turmeric, onion powder, salt, pepper, garlic, and lemon juice in a large bowl. Stir in honey, yogurt, and olive oil. Stir in chicken pieces and let marinate at least 2 hours, preferably as long as 6 hours. Soak bamboo skewers in water for 30 minutes and heat grill to medium-high. Thread chicken pieces onto skewers. Grill kebabs 12 to 14 minutes until cooked through, turning occasionally. 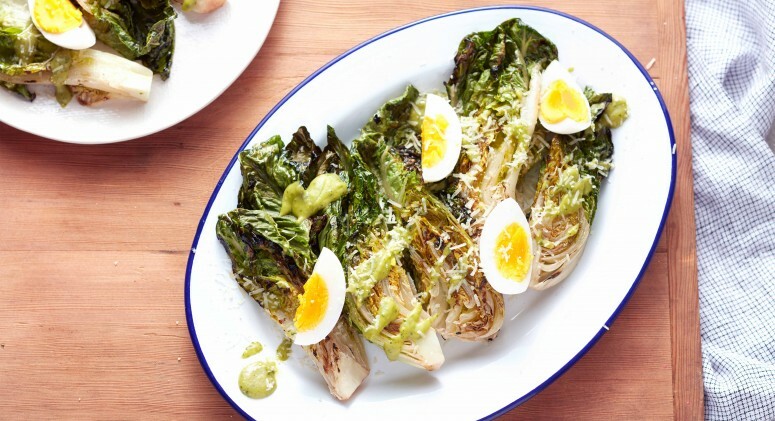 Serve with fennel slaw.